Wales is a land of legend, myth and folklore with our fire breathing Red Dragon standing guard. Yet, tucked away in the beautiful scenery of Snowdonia are the Ffestiniog & Welsh Highland Railways’ very own legends – the steam breathing locomotives. In conjunction with Visit Wales, celebrate Wales’ Year of Legends across the country by travelling aboard the Ffestiniog and Welsh Highland Railways. The Ffestiniog is officially the Guinness Book of World Records’ oldest independent railway, and the first narrow gauge railway in the world to introduce steam engines – two of which are still in use today, with a third undergoing restoration! These locos are the oldest in existence still operating on their original railway and celebrated their 150th birthday in 2013. Impressively, the FR is also the only railway in the world to operate the legendary double-ended Fairlie steam locomotives, all built in the railway’s own workshops. These were created to operate equally well in forward or reverse and our three ‘doubles’ – David Lloyd George, Earl of Merioneth and Merddin Emrys – are a major hit with passengers. …shh… speaking of legends, Merddin/Myrddin is a figure in Medieval Welsh mythology who was introduced into Arthurian tales as Merlin. Magic! 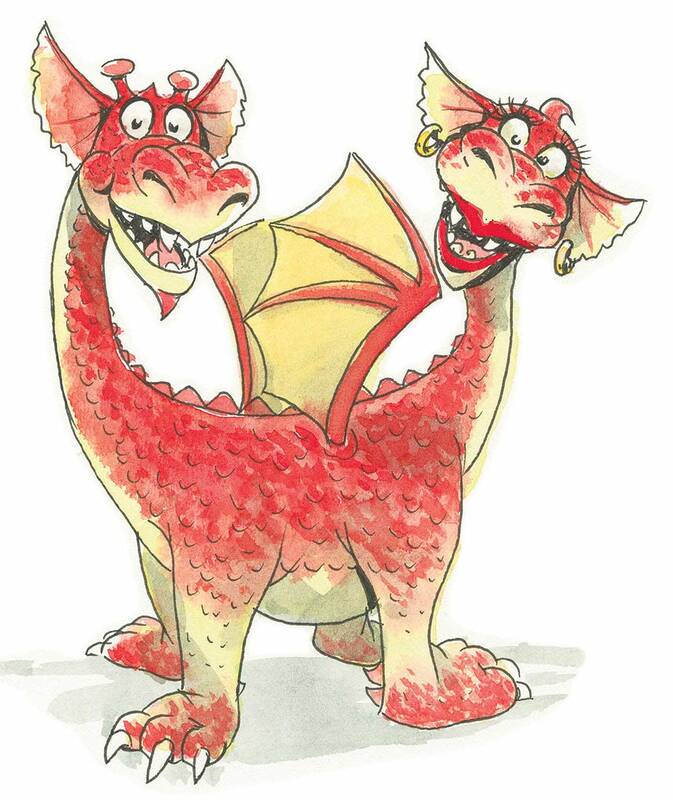 And if magic is your thing then take a look at our other-worldly double-headed dragon named De and Gog. This friendly beast joined us a couple of years ago having been happily surprised to see a double-ended Fairlie engine. At first they thought we had modelled the engines on them but we reassured De and Gog that it was purely coincidental. We thought it best they come live with us to enjoy the Fairlies whenever they want – and they are proving quite the sensation. They even feature in our children’s activity book!! The Welsh Highland Railway operates the most powerful narrow gauge steam engines in the world – Beyer Garratt NG/G16s weighing over 60 tons hauling long trains on some of the longest and steepest gradients in the UK. The trains runs coast to coast from beside the castle in Caernarfon to Porthmadog Harbour – a run of 25 miles through farmland and forest across the slopes of Snowdon. The Ffestiniog then runs up from Porthmadog up to the famous slate mining town of Blaenau Ffestiniog. Both railways touch the Coast Path with stations at Caernarfon, Porthmadog, Minffordd, Penrhyn and Tan y Bwlch. Both lines also give access to numerous stunning walks in this mystical and magical area. Trains run daily from late March until the end of October with a limited winter service. Most trains have a light refreshment service with hot food on the Welsh Highland trains. There are both enthusiast and family events throughout the year. For information on these and the timetable of services, please check out the website or Facebook.